Flames burst forth from the farmhouse, the same one Rhona’s brother had entered just moments before. Alastar, ever the hero, had drawn his sword and gone charging in mere seconds before, leaving her to hide far away from trouble. Clearly, that wasn’t an option. Not when he could be in danger. She worked her way around the farmhouse, searching for a way in. A scream sounded, then the grunt of a man, and she decided it wasn’t time to be timid. She ran for the open doors Alastar had rushed through, in spite of the black smoke that billowed forth. The sight froze her in her tracks—her brother in his white and gold armor, his white cloak smoldering at the edges, circling a man in the black and green plaid of Clan Buchan, the fire users. She had studied the various clans and what magic they used, at least to the extent that the paladins had been able to chronicle it in their war against the evils of magic. 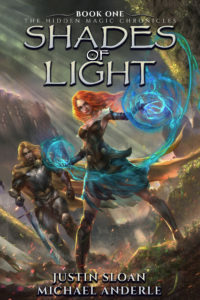 Her first thought was to jump in and help her brother, but the warlock spun, hands pushing out, and a wall of flame came at Alastar that caused him to leap back and call upon the blessings of Saint Rodrick for protection. 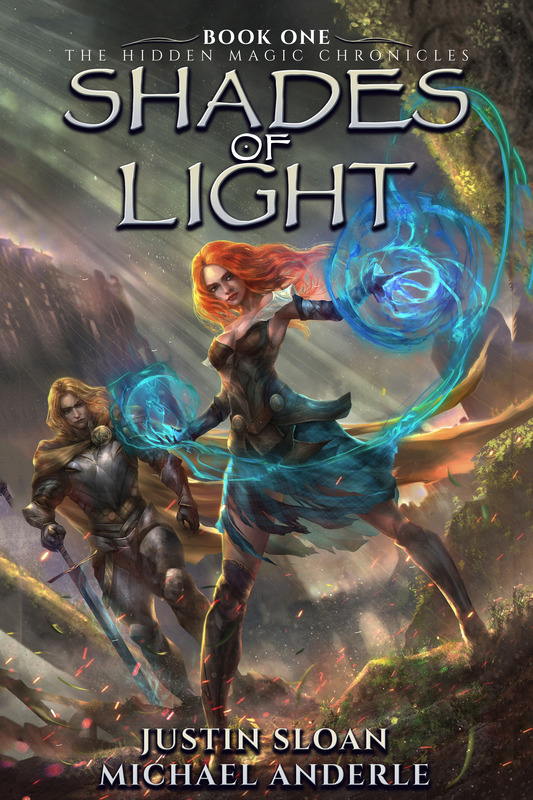 Watching the shield of light that formed between her brother and the wall of flames, she knew this wasn’t her fight. But when a figure caught her eye, a cowering woman in the corner, she knew she could at least help her. She darted through the smoke, staying low in a crouched run, and knelt beside the woman. Her eyes were barely open, her breathing short. Sera moaned, and her eyes rolled toward Rhona, but she managed a nod. “Good, I’m getting you out of here.” Rhona placed Sera’s arm over her shoulders, while wrapping her own arm around Sera’s waist before heaving her up. Her brother’s battle cry startled her and immediately turned her focus to see that his sword had been knocked from his hands. He had reached the Warlock and was engaged in hand-to-hand combat. The two were exchanging blows without magic or blessings, but their circling and maneuvering put them closer to the burning walls and directly beneath a rafter that looked like it was about to collapse. Rhona knew she needed to hurry, so she pulled Sera with her, pushing for the back door. The woman nearly collapsed, but Rhona grunted and pushed on, supporting nearly all of her weight. Sunlight met them as they emerged from the smoke and fire, and fresh air filled her lungs. Then, she saw Sera’s father, lying next to the tree line. She pulled Sera over to his side, then helped her to sit next to her father on the grass before turning to check his pulse. He was still alive, though unconscious. Another shout came from inside and this time flames blew out from every window and the doorway, followed by a cry that was unmistakably Alastar. Her own safety meant nothing if she didn’t have him. Throwing caution to the wind, she sprinted for the doorway. As the flames pulled back, she leaped in, dress pulled up to her face to block out the smoke. Flames were all around her brother, pushing in on him and the circle of light that was protecting him but fading by the second. Desperately looking around, Rhona spotted her brother’s sword on the ground. She ran for it and heaved it up with both hands, but hadn’t counted on it being so heavy. Every muscle in her body strained as she tried to lift it, hoping to charge the warlock and impale him on its holy blade. It was hopeless, though, because even as she dragged it toward him, his eyes darted toward her. A look of confusion crossed his face, fading to determination as he lifted a hand and the nearby flames moved toward her like the river after the breaking of a dam. In that moment, nothing else mattered—only her life, and that of her brother. The sword fell from her hands, and they seemed to lift on their own, aimed at the man, and everything darkened. She wasn’t sure what was happening, except that the flames pulled back, and the warlock collapsed to his knees, eyes turning black. A long scream came from his mouth as dark tendrils of mist or shadow, she wasn’t sure what, wrapped around his limbs and throat. And then he was falling, collapsing to the ground. What followed was a blur. She would have sworn it was a dream, if everything in her wasn’t tearing at her, pushing pain throughout her body. Her instinct pulled her to her brother, and he to her. They fell into each other’s arms, both on the edge of collapse. “Wh—what happened?” he asked, eyes darting from her to the fallen warlock and back. She stared at him, unable to answer. How could she, when she herself didn’t know what had happened? The flames roared and then seemed to be spinning around them. Could the warlock be up and doing this? She tried to turn, to fight again, and then collapsed. When she came to, her eyes opened to reveal dusk had settled upon the land. She was lying on a horse-drawn cart, Sera at her side, her brother riding the horse and, staggering along behind them, bound and tied to the wagon, was the warlock. Rhona groaned in pain, her body hurting like hell, so she let her eyes close and sleep take her again. Yes, thanks to her brother… and whatever the hell had come over her. She must never let him know about it. She must never let anyone know. FROM JUSTIN >>> The first intro to my main characters – thoughts? This story’s going to be a roller coaster pretty soon, so hold on tight. Once the fire-works start, it’s intense. Haha. Did you hear yet that PT Hylton is doing one of these too? Yeah, that’s right – pretty exciting, because I love his work. Also Brandon Barr, who has some great novels. Wow, right? I wanted to share PT’s snippet here, but he’s still waiting on text for his cover, so I’ll share his on snippet 3. In the meantime, feel free to check out my other fantasy 🙂 Land of Gods is in audiobook format, and Jeff Hays (the narrator) did amazing. Grab Land of Gods here, and get the Audiobook for only $1.99 if you get the ebook first.